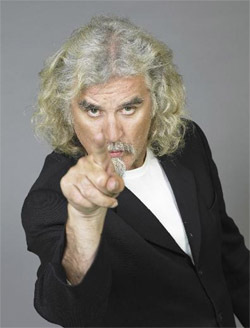 Actor/comedian Billy Connolly once argued that times may change but standards must remain. At the time, he was arguing against airline pilots wearing anything other than uniforms with epaulets and full length trousers. Since I first heard that line, I have used it myself. However, that ends now. I won't be using that line anymore. One of the problems with standards is that we tend to cling to them long after their expiration date. We stick with them because they are comfortable and familiar. Even moreso when we set the standard ourselves! Then we fight tenaciously to defend and uphold the standard; ignoring all the evidence that screams it's time for a change. How long did it take for computer manufacturer's to abandon the PS2 standard in favor of the far more useful USB? Or the numerous dead programming languages with their last, near-zealot adherents? Or all those companies that refuse to abandon their standards and practices because "we've always done it that way"? The network economy doesn't care about your standards -- it only cares about interconnectivity. Any business that wants to succeed in the network economy must be willing to abandon their own standards in favor of another standard that leverages the network effect. If your standards are based on closed systems with no practices for interconnectivity, it is time to abandon them in favor of more open standards. The network economy is here. Are you ready? Are your standards network ready? Be sure to check out my interview with Cathy Stucker from the Selling Books blog.